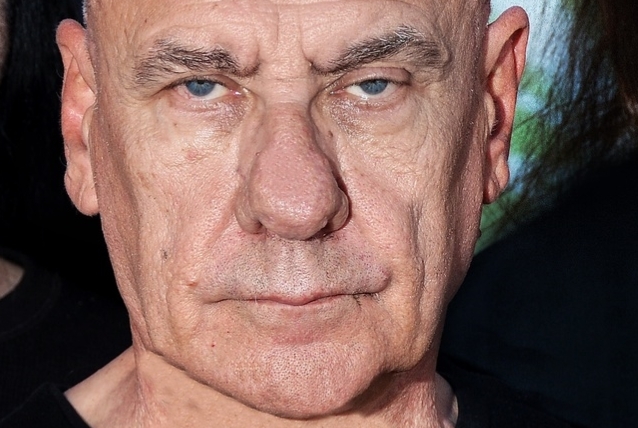 Original BLACK SABBATH drummer Bill Ward says that he is "very much at peace," more than six years after he parted ways with the band for the final time. On August 25, Ward gave his first-ever public poetry reading at The Last Bookstore in Downtown Los Angeles. The special event celebrated "Absence Of Corners", the new art/poetry book-and-vinyl set based on Ward's 2013 art series of the same name. "In 2012, I went through such a departure of love and relationship; [it was] something that was really damaging for me and damaging for a lot of people in [those] relationships," he told the crowd. "A lot of the things which are kind of emerging in the poetry are really in my recovery from the detachment from something that was very sacred to me. My love was torn apart; my heart was ripped to pieces." "I feel very much at peace," the 70-year-old drummer said. "The things of 2012 are past. I'm in a very enlightened place; I love the people I've worked with all my life…I'm through anything that was negative about those times." During the question-and-answer portion of the evening, an audience member asked Ward what advice he'd give someone who was going through a rough time. He responded: "If you believe in a higher power or if you believe in God, then I would suggest that you go to God and see if you can find some solutions. If you don't believe in God, then try to be as honest with yourself as you possibly can…When I've chosen the light of God or self-honesty, my own misery has brought me to a solution. My own pain, my own sadness has brought me to a place of surrender, so I'll surrender to the truth anyway and go, 'You know what? I need to talk to somebody about this.' Try not to be alone with your own pain. Try to find someone you can trust your pain with. It's really important that we communally share what's going on with each other… Otherwise, we're going to be walking around in a very sorrowful place." It was rumored that SABBATH wanted to bring a second drummer on the road to share duties with Ward, something that Iommi confirmed last year during a question-and-answer session about SABBATH's "Ten Year War" box set.